Fry the Onions in a deep pan with Oil and Butter, allow to soften without colouring on a medium high heat. Add the Cauliflower Florets to the pan and fry for a further 2 minutes. 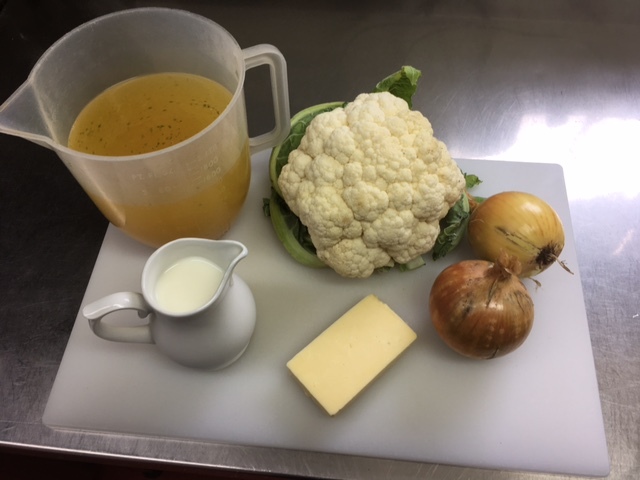 Add the Vegetable Stock and Milk, bring to the boil and simmer for 20-25 minutes or until the cauliflower is soft. Add the Grated Cheddar to the pan just before blending, blend the soup until smooth.